The magnitude of our nation’s food waste problem is difficult to comprehend. According to the Oregon Department of Environmental Quality, the U.S. generates 63 million tons of food waste worth $218 billion every year. 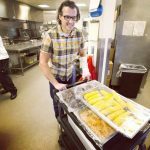 Fortunately, food producers, processors, the food service industry and nonprofits are looking hard at how to cut waste for economic, social and environmental reasons. This fall, two High Desert Food & Farm Alliance Partners and food entrepreneurs are teaming up to offer a creative, sweet solution to reducing food waste down to zero. Bontà Natural Artisan Gelato and Holm Made Toffee Co. are releasing a new gelato flavor series made with delicious toffee crumbs leftover during the toffee production and packaging process. The debut flavor of the series, called Sweet Repeat, will be espresso toffee crumbs with Thump Espresso gelato! More flavor combinations will follow. Save room for Sweet Repeat, which will be offered for the first time at Bontà Natural Artisan Gelato Scoop shop in downtown Bend. We cannot think of a better way to celebrate collaborative, ingenious solutions to combating food waste in local kitchens. To learn more about food waste reduction in your home, check out the Environmental Center’s ReThink Food Waste Campaign. 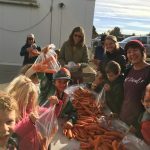 To learn about programs to reduce food waste by diverting edible food to local hunger relief agencies, contact the High Desert Food and Farm Alliance.